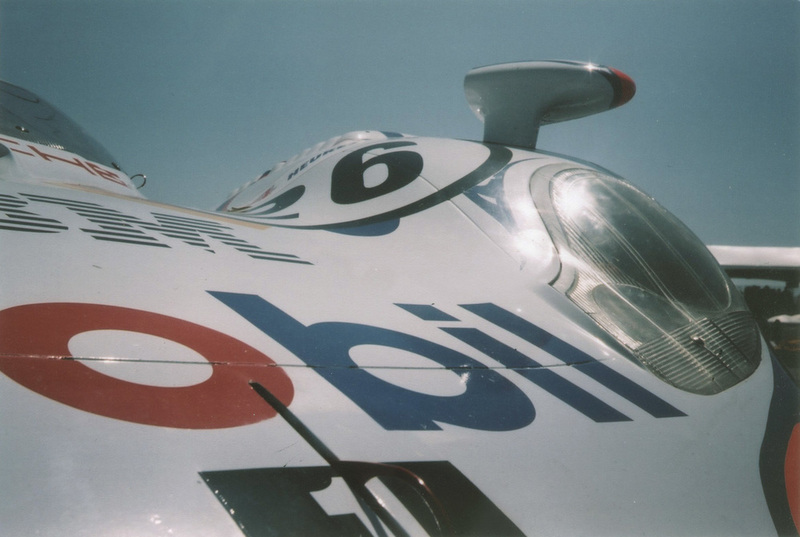 These previously-unpublished images are scans from the 2009 Monterey Historics which featured Porsche. In addition to the digital and Holga pictures I took at the time, I shot a few rolls with my Olympus Trip 35, which I finally got around to scanning. I'm headed to the same event later this week, which was partially the motivation for getting these scanned. Driving the Porsche 911 GT3 (996) Thanks to a very generous owner, I got to drive a 996 Porsche 911 GT3 for a few non-hot laps. Everything about the car seems very special. The most noticeable thing for me that I liked was how the pedals feel so tactile and have so much resistance. It's hard to explain but instead of the throttle pedal being just a spring, it feels like you have to press through a range of 20 very tiny 'clicks.' If that makes any sense. It doesn't? Okay. There's a lot of feedback and you can deliver tiny changes in throttle pressure very precisely. The idle is loud and coarse, and you feel the engine vibration shaking the car at any RPM. The last 911 I drove was a 1986 Carrera, and the directness you feel to the motor in the newer 911 is remarkably undiluted from the '86. But enough parking lot impressions. The steering feels excellent, and then less so when you're under power. You can almost watch the steering sensitivity and control melt away as you give it power — it feels very light up front and the rear digs in. I was told the 997 GT3 doesn't feel this way. Overall: incredible. Very firm, and flat. It would take a lot of driving adjustment to get up to speed with the weight distribution. A track member came after we were done on Saturday with two Ferraris, including an astonishing F40. I know he's a brilliant driver because I rode with him 2003.